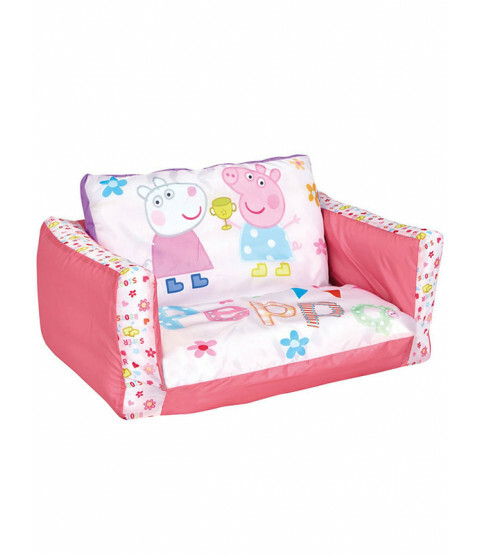 This Peppa Pig Flip Out Sofa is a great addition to any bedroom or playroom. 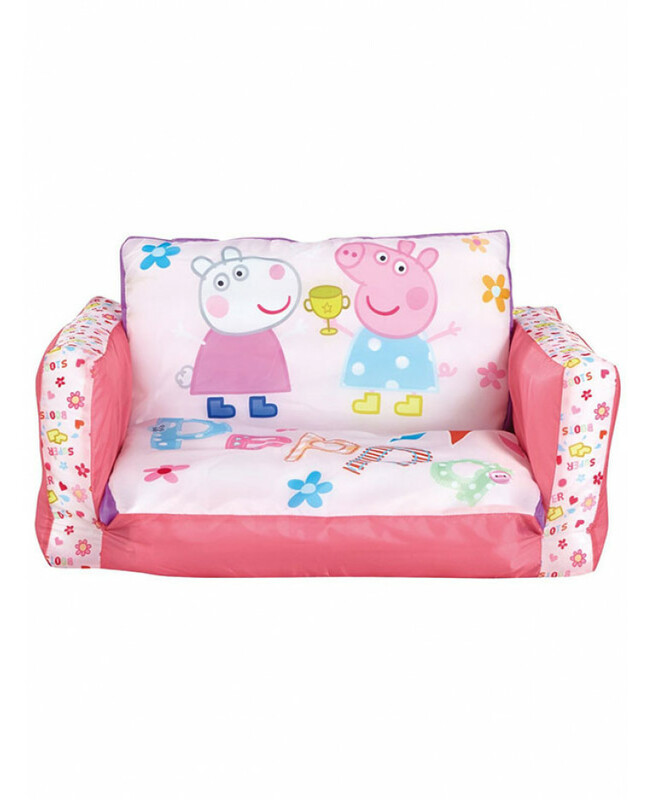 The colourful sofa features a great image of Peppa Pig and her friend Suzy Sheep on a pretty floral background, with Peppa written in a patchwork style on the seat. 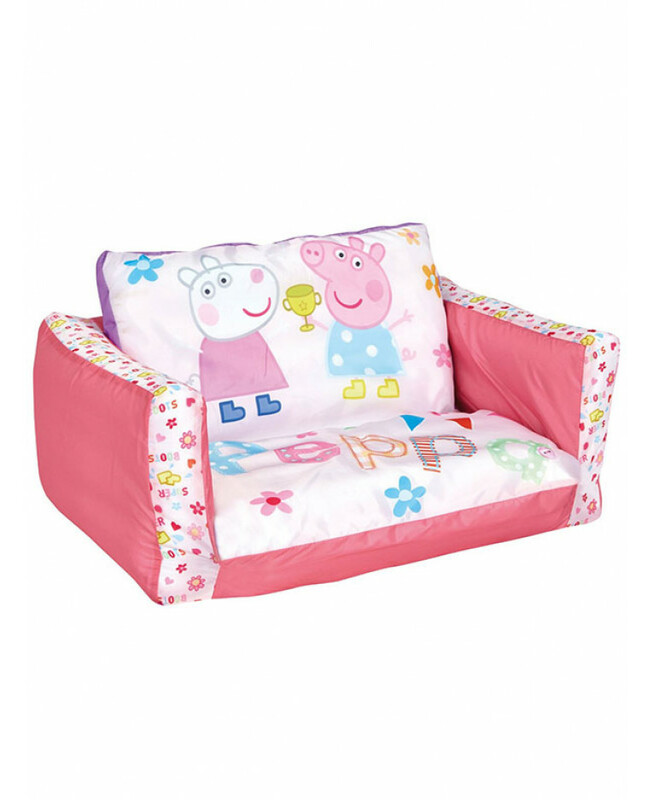 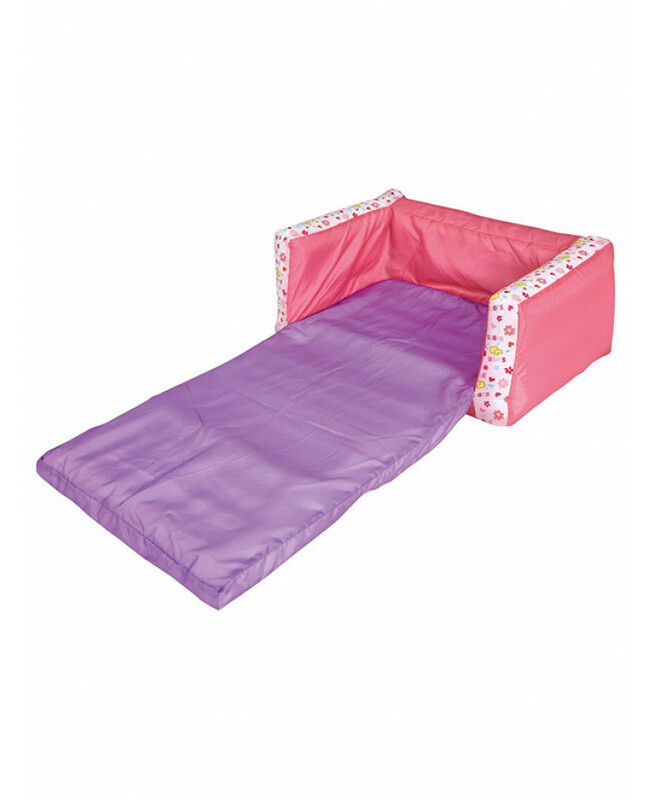 Use the sofa during the day to watch your favourite films and then in the evening extend the seat to create a comfy flip out lounger bed ideal for sleepovers!